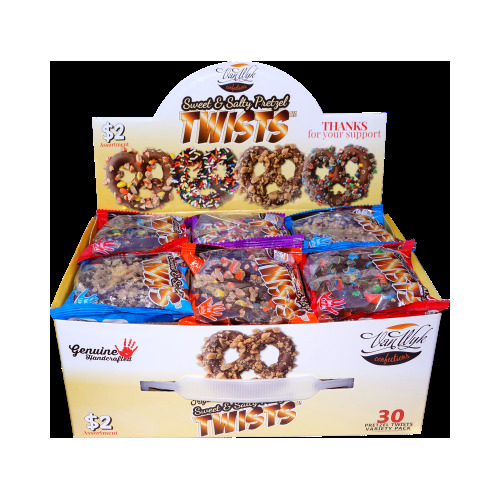 Indulge in the scrumptious Sweet and Salty Pretzel Twists dipped in milk chocolate. Our newest variety pack comes with 30 twists and rolled in four delicious toppings. Satisfy both your sweet and salty cravings. 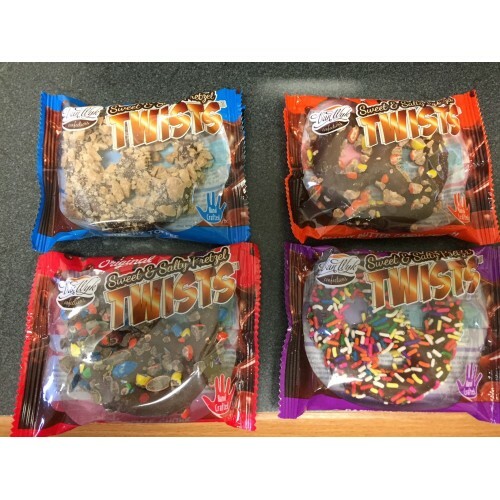 Pretzel Twists Fundraiser There is 1 product.